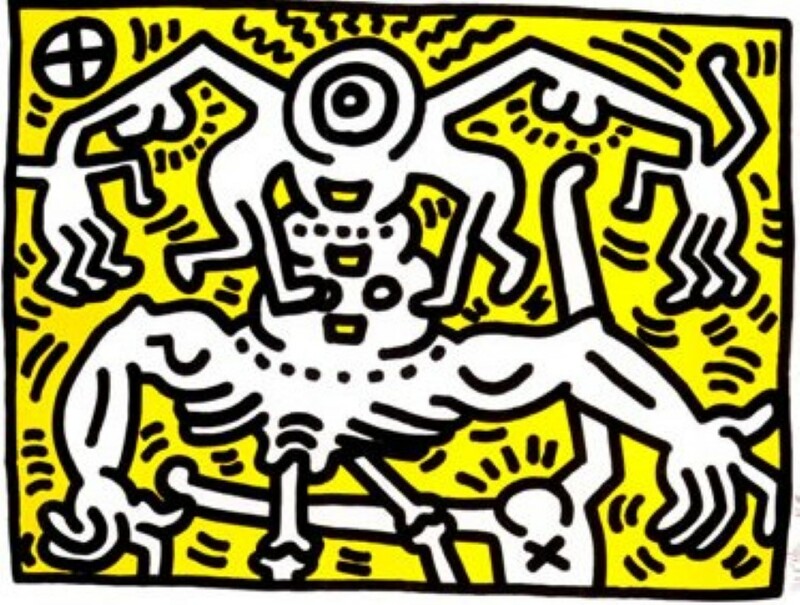 New collection: Keith Haring Originals! – Pan Art Connections, Inc. Among the highlights of the collection are a rare Subway drawing, complete suites (including ‘Ludo’, ‘Free South Africa’, ‘The Story of Red and Blue’, ‘Stones’, ‘Kalish’), Medusa Head (the largest print in the artist’s oeuvre), Growing #2, plus one of a kind painted bowling bag and lucite table.